She's Fantastic: The Outer Space Men - ASTRODITE! 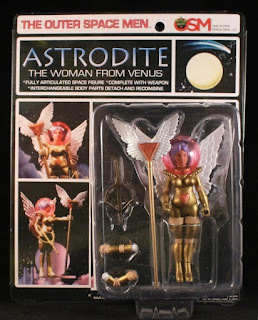 At the Four Horsemen Studios 2013 Toy Fair event, they showed off this beautiful Astrodite figure, who would be the 4th female in the new OSM line. I was at the event and I was smitten by her, but we wouldn't actually get her for a full five years. (FYI that Toy Fair event was full of female action figures that have yet to be released from Four Horsemen.. check them out). This year marks the 40th anniversary of the 1968 release of the Outer Space Men so in celebration they are introducing four original characters including the long-awaited Astrodite and the surprise character Luna Eclipse (which I have yet to buy). All Outer Space Men figures utilize the Glyos system from Onell Designs. All the joints pop apart and are interchangeable. Although I didn't take a picture of Astrodite completely disassembled, here is an older picture I took of 2013's Beta Phase White Star Horroscope on the dissection table. I was unable to remove the helmet on my figure, but I was able to free it from her breastbone and shoulders which gives you room to position her head in the direction you want. 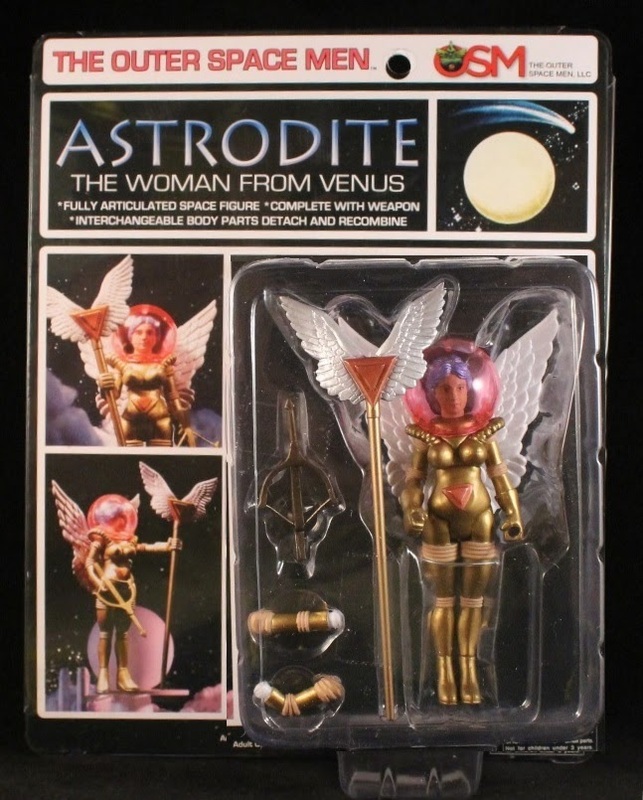 Astrodite comes with a winged staff, a crossbow, and two alternate "bent elbow" arms. 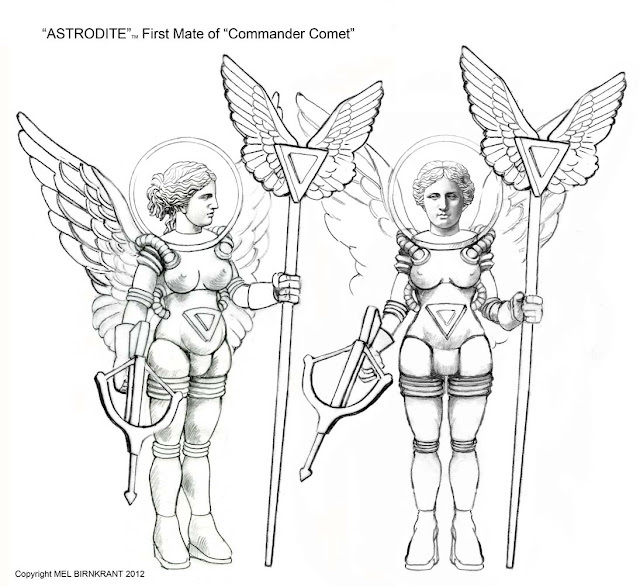 Here is Mel Birnkrant's original 2012 design for Astrodite. Click the image to go to his website and follow the creation process behind the character. I love how the final product is so true to the original sketches. And since we finally got Astrodite (a mere 5.5 years after her first appearance during Toy Fair 2013), I would like to take a moment to share three other concepts for new characters. I don't care if they take another 5 years each, I would just love to see them produced. Here is Astrodite with the first three Outer Space Men ladies: Horroscope, Ohpromatem, and Terra Firma.